If you’re negotiating a settlement agreement with your employer, you’ll need to decide whether to do that yourself or ask a solicitor to do it for you. You may feel it’s easier and cheaper just to do the negotiation yourself. However, there are a few things you need to think about before you decide. You may feel you’ve done your research and you’ve got a good understanding of your legal position. However, even if you’ve spent days trawling through Google search results, you’re probably not going to have the depth of knowledge you need to get the best deal on your settlement agreement. For example, you may have potential claims for unfair dismissal, breach of contract, discrimination etc. All of these are fairly technical areas of law. Unless you’re sure that you’ve understood these claims, you’ll be better off putting the negotiation in the hands of a solicitor. There are also ‘soft’ factors to take into account, such as the good will between you and your employer and the contribution you’ve made to the business. By getting proper legal advice, you can be sure that you’ll maximise your prospects of obtaining the best possible deal on your settlement agreement. Some settlement agreements are not as tax efficient as they could be. For example, if you’re receiving a payment in lieu of notice, did you know that, depending on how your employment contract is drafted, you may be able to get that tax free? An employment solicitor will be able to check that for you and ensure that you’re not paying any more tax than you have to. 4. Your employer probably has a solicitor, so why shouldn’t you? Your employer’s solicitor is looking out for their best interests but who’s looking after yours? By having the benefit of legal advice in the negotiation, you can be sure that you have an expert on your side. If you’re going to negotiate, you must have credibility. Unless you’re qualified and experienced in employment law, you may find your employer simply doesn’t take you seriously when you explain why they should pay you more. By using an experienced employment lawyer, you can be sure that your employer will take notice. 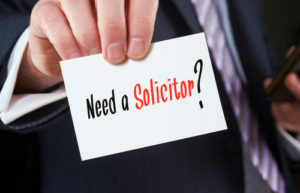 Some solicitors will negotiate on a ‘no increase – no fee’ basis. This means that you only pay if your solicitor is successful. Usually, the fee is one third of the amount of the increase. For example . . . Your employer offers you £15,000. Your solicitor successfully negotiates a £6,000 increase to £21,000. You only pay one third of that increase, ie £6,000 ÷ 3 = £2,000. This means that you receive £19,000 and your solicitor receives £2,000. If your employer doesn’t agree to increase the compensation payment, you don’t have to pay your solicitor anything, which means that there’s no risk to you.